Home » Food and Nutrition » Camel’s Milk the Newest Superfood? When you were very young, you likely got the bulk of your nutrition from breast milk. This milk was highly digestible, high in nutrition, and gave your developing body what it needed to grow. But as you grew, you likely began to get your nutrition from other sources. While societal norms, convenience, and convention guide us this way, it is somewhat of a health sacrifice, as goat’s milk and the more common cow’s milk aren’t as easily digestible as a mother’s milk, nor do they offer the same health benefits. But there is an alternative that’s comparable to breast milk. Camel’s milk has been heralded as a possible new “superfood” and the closest option to mother’s milk that a person can drink. Advocates report that it is easier for your body to digest than cow or goat’s milk and is nutritionally superior. Moreover, camel’s milk can help with diabetes, by controlling insulin. It features a protein that copies insulin, limiting fluctuations in levels and response. In cow’s milk, the protein is destroyed in the stomach and produces no benefit. Along with diabetes, camel’s milk is used in some communities to treat autism, attention deficit disorder, HIV, and a host of other conditions. Most people, even those who are not necessarily lactose-intolerant, have a hard time digesting cow’s milk. One of the reasons is that cows have four separate areas of the stomach where they digest food. Like humans, camels only have one. So in a way, camel’s milk is a byproduct of a familiar system that is in tune with your natural digestive capabilities. This can also play a role in the nutrient density of camel’s milk; research has shown it is significantly higher in potassium, magnesium, iron, copper, manganese, sodium, and zinc than cow’s milk. Additionally, camel’s milk is lower in cholesterol than cow or goat’s milk. It also has three-times the amount of vitamin C and ten-times more iron. While it may be lower in vitamins A and B2 than cow’s milk, it’s high in unsaturated fatty acids, B-vitamins, total fat, and protein. This might sound like bad news to you; however, the fat calories are of better quality, so its higher fat content is a pro, not a con. Camel’s milk is available in the United States, but can prove rather difficult to acquire. 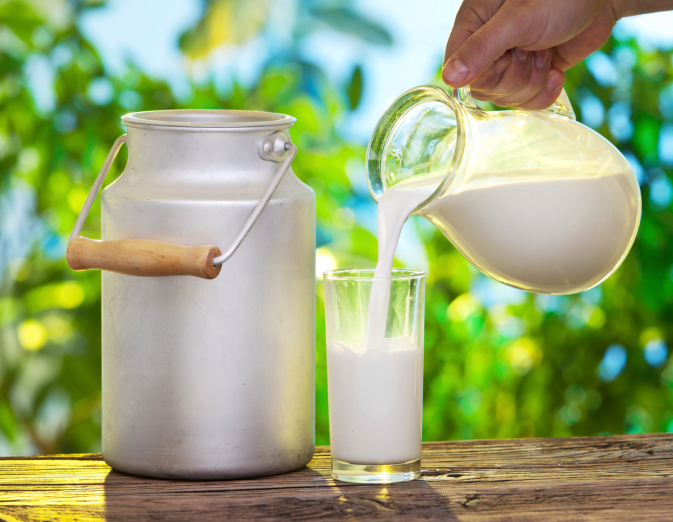 As it grows in popularity and pasteurization methods are improved, it should become more readily available, thus allowing the opportunity for further research into its health benefits. That being said, there are farms across the country producing it; if you live near an Amish community, there’s a good chance you’ll be able to get your hands on some. At the moment, camel’s milk is very expensive, with a pint costing about $18.00. But as demand grows and the population of camels stateside increases, prices should drop. In any event, I recommend giving it a try if you have the opportunity! Neal, D., “Milking camels for the next super food,” USA Today web site, June 8, 2014; http://www.usatoday.com/story/news/nation/2014/06/08/camel-milk-next-super-food/10208443/, last accessed June 10, 2014. Young, P., “Camel Milk: The Biggest Hump in the Milk Industry?” Huffington Post web site, October 26, 2010; http://www.huffingtonpost.com/philippa-young/camel-milk-the-biggest-hu_b_773016.html, last accessed June 10, 2014. Mohamad, R.H., et al., “Camel Milk as an adjuvant therapy for the treatment of type-1 diabetes: verification of a traditional ethnomedical practice,” J Med Food. April 2009; 12(2): 461–5.